Not quite sure how All Saints and All Souls days are commemorated elsewhere. But here in the Philippines, traditionally, almost everyone go to their hometowns to visit cemeteries, pay respects to their parents, grandparents, and other family members who have passed away. October 31 to November 2 of every year account for thousands, hundred of thousands, or even of millions of live people visiting the dead in cemeteries, memorial parks, and columbarium. Sales for all kinds of candles and flowers shoot up. We go home to the province every year for this purpose. My dad roots from Pampanga, while my mom from Nueva Ecija, both provinces in Central Luzon and can be reached by road. We used to go on a road trip between the two, going to as many as four different cemeteries sometimes. But lately, it has been just Pampanga, since Nueva Ecija is much farther, and we don’t have a family house there anymore. 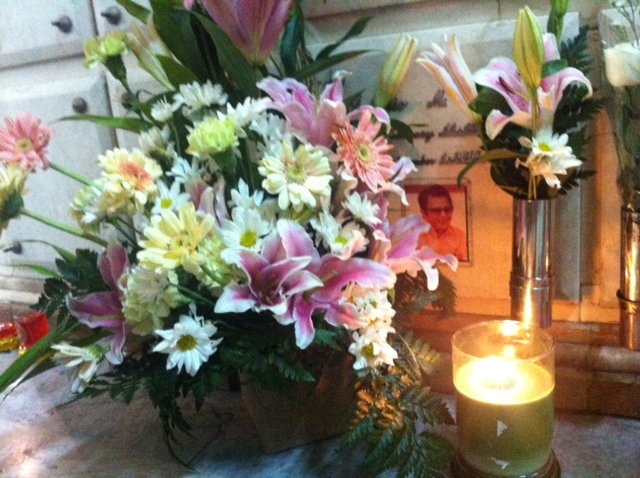 My grandfather (mom’s father) who has died four years ago has his cremated remains at a columbarium just near our residence. My cousin’s cremated remains are there too. So, now it’s possible to visit them three days without needing to stay overnight. The remains of my other grandfather (dad’s father) is in Pampanga, and it’s not so difficult to visit it, since the province is just about a 2-hour drive away from the city. In a way, the scenes at a cemetery during this time is like a feast of the living for the dead. 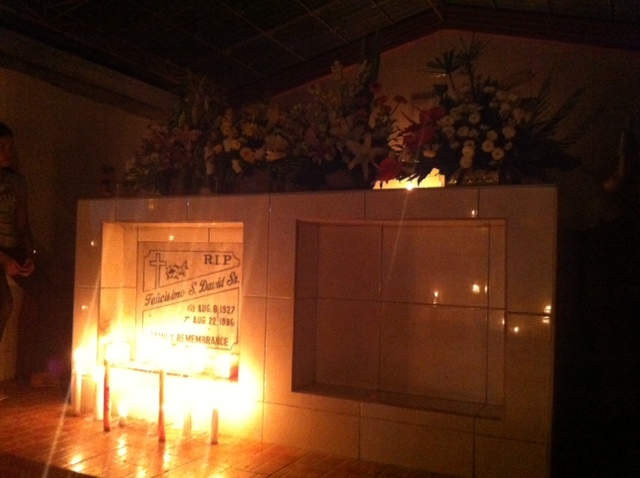 Informal family reunions happen at family mausoleums and in front of tombs. Besides the flowers and candles, there are a lot of food and drinks brought by the families, and a lot of others sold at stalls just outside the cemetery. It’s an interesting time to go on food tripping too. Paying respects to the dead and meeting up with the living. Overall I would say that it’s still a good “social” event, to keep “in touch” with our past (our ancestors, I mean), and discovering the future generations (and yes, there were cute little “pamangkins” or nephews and nieces by our cousins). There is Halloween too, mostly in the metro areas. I’ve seen a spike in Halloween parties and costume parties for adults, when it used to be popular mostly for kids. Halloween may be a very western tradition, but it’s getting big here the past decade. There’s trick-or-treating in some subdivisions and villages, and even in some companies, for the little ones. Adults are also putting a lot more effort to their Halloween costumes lately. How do you celebrate or commemorate this holiday? Undas directly translates as “the first of the month”, but traditionally used to call the first of November, the All Saints / All Souls day. 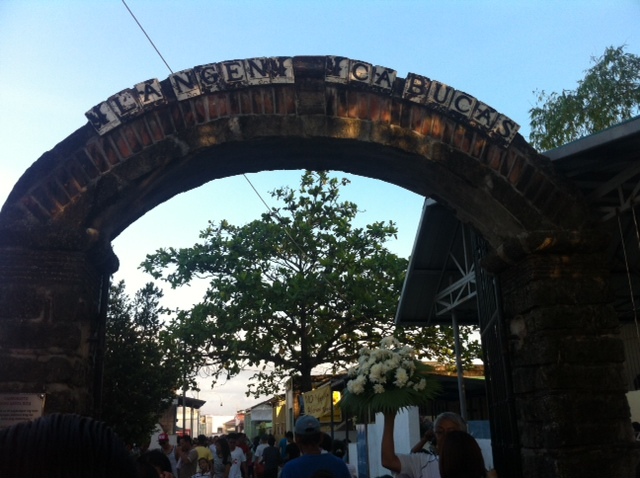 Notice this photo… It’s the arch just outside a cemetery in Pampanga. The words are written in the local dialect “Ila ngeni, ica bucas”, which in English means “today it’s them, tomorrow, it will be you”. Creepy, isn’t it?